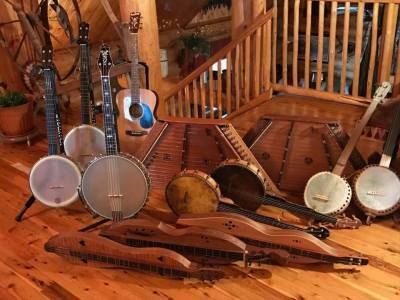 This is a no stress workshop that will help you understand the layout of your instrument, locating octaves, duplicated notes, harmony and grace notes, basic chords, and in the process, changing “all those strings” into something that makes sense! Plus, we will teach a performance ready tune for that little boost of encouragement! Beginning with a simple melody line of a well known Christmas Carol, we will step by step add embellishment ideas and techniques to develop it into a performance ready tune. Using this process, and learning these ideas will allow you to apply them to other tunes as well! This is not a "tune" workshop, but rather the tune is the tool by which we will learn embellishment ideas and techniques. The hymn is made of only five notes, and quickly learned so the focus and attention can be directed to the embellishments! As a plus, by the end of the workshop you will have a performance ready piece with several ways to play it! instruments. Learn this well-known fiddle tune with a new twist! No chromatic bridges needed, we will teach this roller-coaster ride of a tune using chromatic scales and runs found on your instrument! This workshop will also open up new opportunities and ideas in using chromatic embellishments that can be applied to any tune and we will be using the entire instrument…way out of the box. We will teach both a standard version and then a very cool ‘all over the place’ chromatic version of Devil’s Dream (and even break some “rules”) as well as teach you how to apply those same techniques to a few other tunes. This is a great embellishment tool! No need to read standard notation! Fingerpicking is EASY to learn.and provides a gentle undulating rhythmic flow to a tune. Using simple picking patterns you will learn how to arpeggiate tunes and chords with a smooth rising and falling turning a simple melody line into a beautiful, expressive, purely acoustic and interesting piece. Put your pick aside and let your fingers feel the music! When an accomplished musician plays his or her instrument expertly, their instrument becomes a natural extension of his or her hands —the movements and connection with the instrument are seemingly instinctual. As we learn to play an instrument, we tend to overly rely on our eyes and essentially ‘get in our own way’ as we struggle to improve our playing. Throughout this unconventional (and fun!) workshop, completely blindfolded, you will learn an entirely different method of visualizing and playing your instrument strictly through tactile experiences and sensations. You will explore a new approach toward playing your instrument, understand the importance of the relationship between your body and the “feel” of the instrument, change your perspective, perception, and level of awareness, and “see” your instrument solely through your fingers and hands, while strengthening your “muscle memory” and building confidence in your abilities. This workshop not only teaches you play without relying on your eyes, but will ultimately improve your capacity to play instinctively—without visual reliance that can impede your progress. Tired of playing fiddle tunes like a funeral dirge? Not able to keep up? Playing fast is not a matter of talent, but a method of practice. I have taught these techniques to all ages and all skill levels on many instruments…AND THEY WORK! One of my students after learning these simple practice skills said in amazement, "It’s almost like your fingers play by themselves!" This workshop will teach you to play smoothly, quickly, accurately and Yes…like your fingers are playing all by themselves! 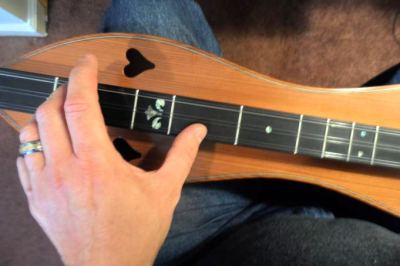 This workshop will briefly cover the emotions of the mountain dulcimer as we learn "Plaisir 'D Amour" a 18th Century piece translated "The Pleasure of Love" and the melody used by Elvis Presley's, "Fools Rush In." But the tune is merely the tool to learn smooth chord progressions, picking techniques, and putting feeling and emotion into your playing! Beginning with a simple melody line of a well known Christmas Carol, we will step by step add embellishment ideas and techniques to develope it into a performance ready tune. Using this process, and learning these ideas will allow you to apply them to other tunes as well!